Thanks to Constant Contact for housing and feeding the hackers! "Launched in 2012 on Kickstarter, over 68,000 backers made the Pebble watch possible. The original Pebble smartwatch was designed to be minimalist yet stylish, blending seamlessly into your life. Pebble is infinitely customizable with fitness tracking, sports apps, productivity tools, and thousands of beautiful watchfaces all found in the Pebble appstore." Prize: One team will be selected fo﻿r best use of Pebble hardware in service of a challenge. "IBM Bluemix is an open-standards, cloud platform for building, running, and managing applications. With Bluemix, developers can focus on building excellent user experiences with flexible compute options, choice of DevOps tooling, and a powerful set of IBM and third-party APIs and services." Prizes: Winners will receive up to one year of free access to Bluemix and up to 80 hours of technical support and assistance over 6 months by a senior IBM Bluemix developer. Entrepreneur and start-up winners will get access to the IBM Global Entrepreneur Program for Cloud Start-ups and will be eligible for up to $120,000 of free IBM Cloud credit. How to win: Most innovative use of IBM Bluemix in service of a challenge. "We make professional software development a more productive and enjoyable exerience. We help developers work faster by automating common, repetitive tasks to enable them to stay focused on code design and the big picture. We provide tools to explore and familiarize with code bases faster. Our products make it easy for you to take care of quality during all stages of development and spend less time on maintenance tasks." Prizes: Personal licenses for any JetBrains products for individual use, e.g. non-server-side products. Namely, they are: IntelliJ IDEA, ReSharper, AppCode, PyCharm, RubyMine, WebStorm, PhpStorm, CLion. How to win: Each member of the top winning teams are eligible for this prize. "Leap Motion is a software and hardware company developing the world's most powerful and sensitive 3-D motion-control technology. Our first product, theLeap Motion Controller, lets users navigate and interact with computer applications by translating hand and finger movements into 3D input. Our platform also supports virtual and augmented reality experiences, expanding Leap Motion beyond the PC. 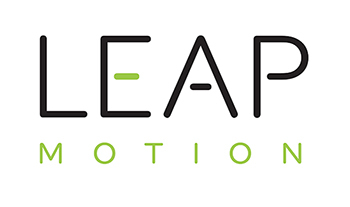 Leap Motion’s unique approach allows the technology to be significantly more accurate than other motion-control technology. Free software updates continually improve Leap Motion products." Prizes: Leap Motion tech for each member of the top winning team. "The Intel® Edison platform is a solution designed to lower the barriers to entry for quick prototyping and productizing the connected computing devices driving the next industrial revolution." How to win: Each member of the winning teams will win a Intel Edison board. event and 4-pack of redbull to all attendees. "Twilio powers the future of business communications. Enabling phones, VoIP, and messaging to be embedded into web, desktop, and mobile software."